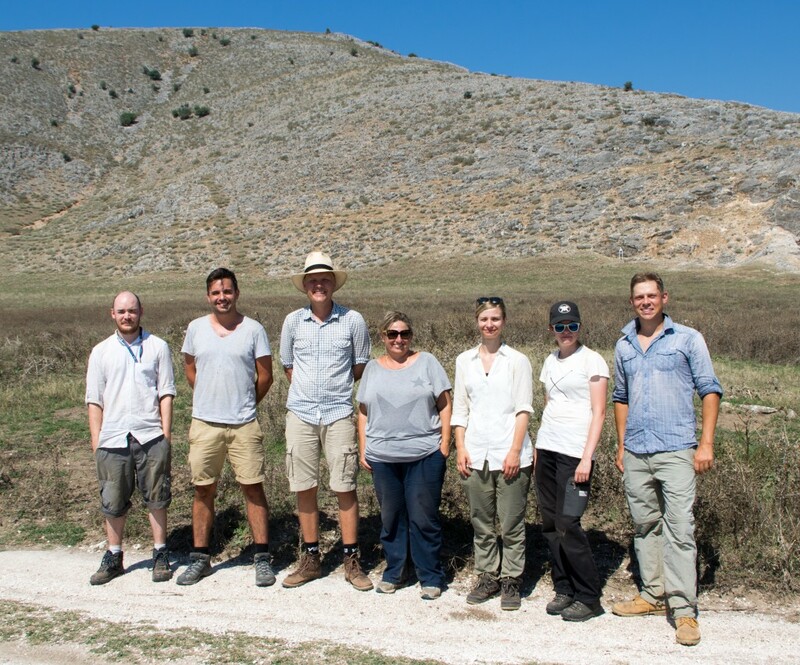 The Vlochos Archaeological Project (VLAP) is a collaboration between the Ephorate of Antiquities of Karditsa and the Swedish Institute at Athens, with participating archaeologists from the University of Gothenburg and Bournemouth University. Examining the extensive remains of a Classical-Hellenistic urban site at Vlochós in the municipality of Palamás, the project aims at expanding scholarly knowledge of ancient Western Thessaly. The site at Vlochós is concentrated on and immediately below Strongilovoúni, an isolated hill towering 215 m above the vast plains of Western Thessaly. The ancient remains have never been systematically examined, and – apart from some brief descriptions – has rarely figured in scholarly literature. Most striking of the visible remains at the site are the well-preserved fortifications, at points still 2.5 m high, but the lower slopes below the hill show clear indications of being the location of an extensive urban settlement, now covered by silt and sediment from the nearby river Enipeas. The aim of VLAP is to acquire an overview of the remains at the site using non-invasive methods such as magnetometry, ground penetrating radar, drone photogrammetry, and GPS surveying.